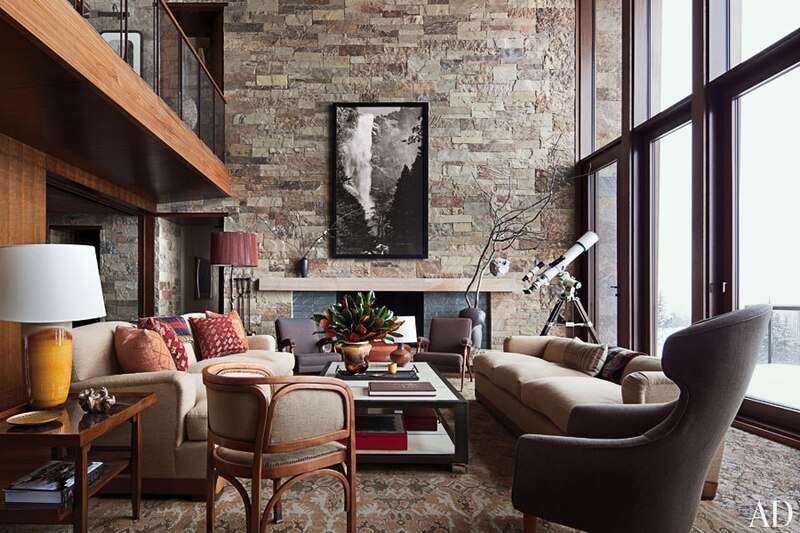 William Sofield and his New York team at Studio Sofield created this stunning Aspen home. 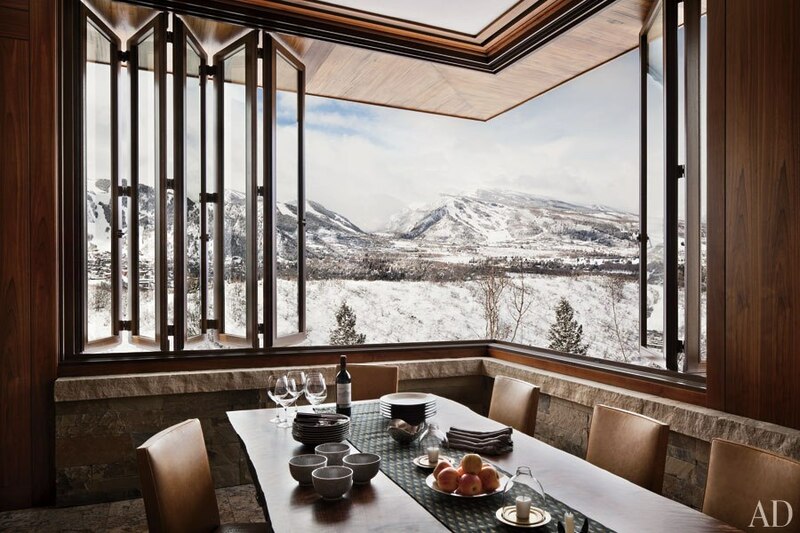 Together with local firm, Studio B Architects, they perfectly and precisely blend a rough mix of stones with a smooth selection of oak, black walnut and granite...Relaying a familiar Frank Lloyd Wright in Aspen feeling. While the details are defined by dark wood tones, stone and upholstered wall panels of perforated suede in the master bedroom, the home still feels open and spacious with it’s breathtaking views...Especially the fabulous retractable breakfast nook window by Tischler und Sohn. It's masculine, mid-century and modern yet feels like a warm mountain home.